So, I have decided to use this little blog of mine to document our home schooling journey! I'd like to write about our ideas, our progress, what we've been up to and hopefully be able to look back and marvel at what little genius's my children are (Haha!). There is so much inspiration on Pinterest right now, which is where I found the above pictures. I love the apple prints for pumpkins, and I think both my kids would love that! 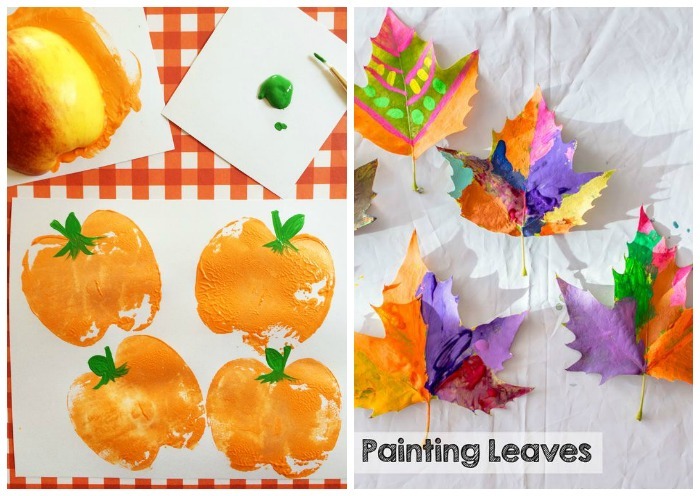 Painting leaves is fun too. I'd love to have some little leaf garlands hanging up. 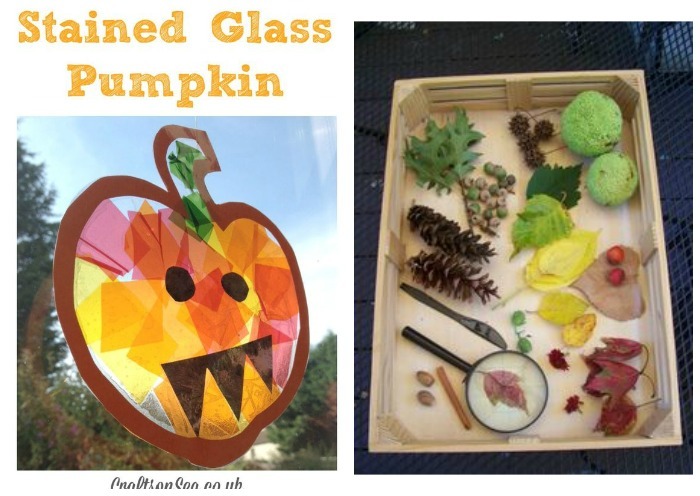 I love the window pumpkin and think this would be a perfect opportunity to discuss light with Alice. Obviously, light changes at this time of year as it gets darker earlier. And it would also be interesting for her to explore materials that are opaque or transparent (It's amazing how much of this stuff comes back to you when you really start thinking!!). And finally, I LOVE the little sensory tray. Perfect for Thomas to have a feel of all the different materials and great for Alice to use a magnifying glass to explore them further. I'd also like to create a little natural small world play and have seen some amazing little pumpkin houses and moss filled gardens, though I'm not sure if I would actually be able to recreate that! !